Everybody is aware of the name Nivea, when it comes to cosmetics. It offers a wide range of creams and lip balms to suit different skin tones and types. 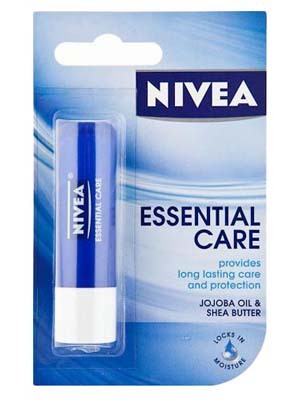 Best Nivea lip care products are affordable and easily available in the indian market. 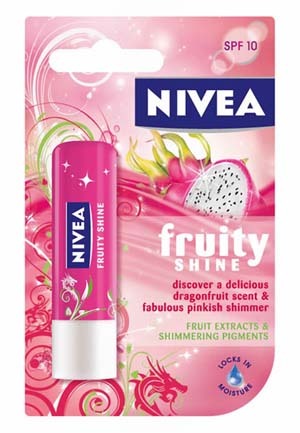 The Nivea lip balms or lip gloss makes your lip soft, nurture them and protects from harmful effects of sun-rays. 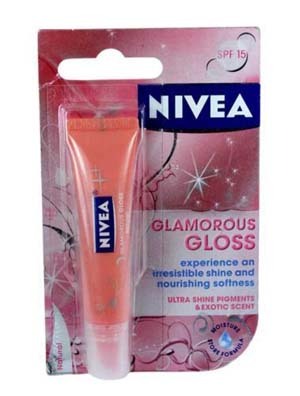 Here are the top 10 of most popular nivea lip gloss in india. This lip balm is enriched with natural ingredients like Bisabolol and Wheat Germ Oil. 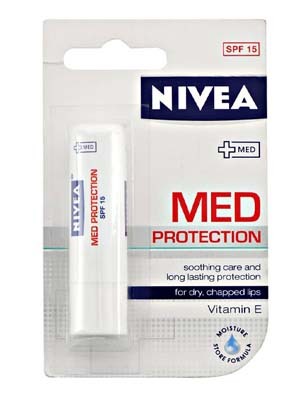 It effectively protects your lips from drying out by providing long lasting care. It doesn’t stick or leave any marks on the lips. It also consists of SPF 15 has a soft fragrance. This lip balm comes with natural ingredients with a sweet pomegranate fragrance. The deep red tone present makes the lips soft and glossy. This Fruity Shine lip balms comes in a beautiful deep red packagingand covers your lips with glossy shine, over a subtle red tonned glow. This product is natural and pure. It doesn’t contain artificial ingredients or preservatives. It is creamy and therefore easy to apply. They leave your lips moisturized, soft and smooth for a longer period of time.The contents – Olive & lemon keeps the lips nourished and graceful. This lip balm comes with a mild fragrance and lasts for about 3-4 hours. 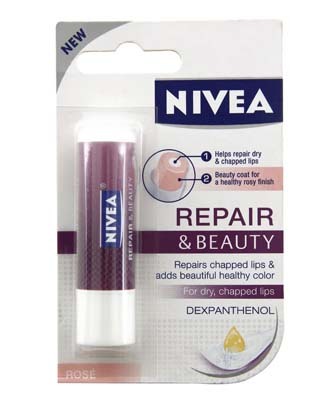 As the name suggests, this lip balm repairs chapped lips. It consists of the Dexpanthenol, which repairs chapped lips and removes the dryness and soothes them. It provides lips with intense care, long-lasting moisture leaving healthy soft and smooth lips with a touch of delicate rose color. This gloss contains SPF-15 protecting your lips from sun-rays.It gives a shiny crystal finish and has thick suppleness. The shiny pink liquid is packed in a cute pink color tube. 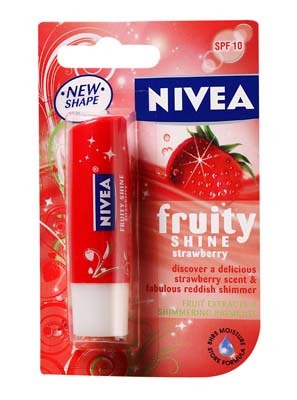 This gives your lips a fruity taste and aroma. 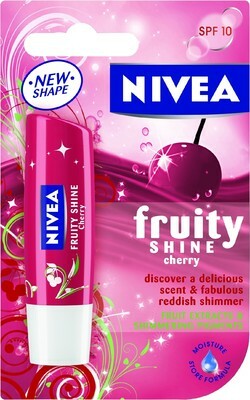 On application, it lasts long and make your lips soft, shiny and smooth. It adds to texture of your lips making them look glittery as that of lip gloss. It is packed in a pale pink color tube and nourishes your lips even after fading. It is light and long-lasting. 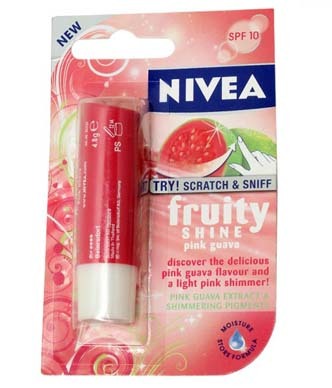 This lip balm has a fruity smell with a light glossy pink color. It keeps the lips away from the harmful effects of sun-rays and moisturizes them. It contains SPF-10 and stays on your lips for about two hours. Alike its name, it carries a fine red shimmer and tempting cherry aroma. 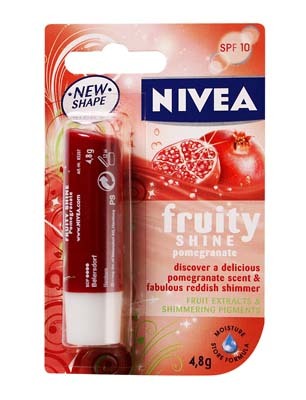 The fruity extract present hydrates your lips thus preventing them to get dry and chapped. The shimmering pigments helps to store moisture with SPF 10. Cost: Rs. 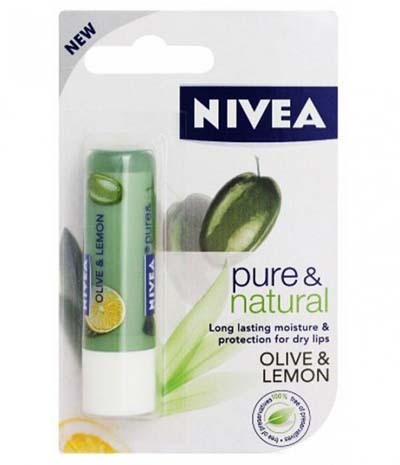 129/- for 4.8 g.
It is a unisex lip balm providing a daily natural care to your lips. The natural ingredients of jojoba oil and shea butter keeps the lips away from dryness and provides a long lasting care..